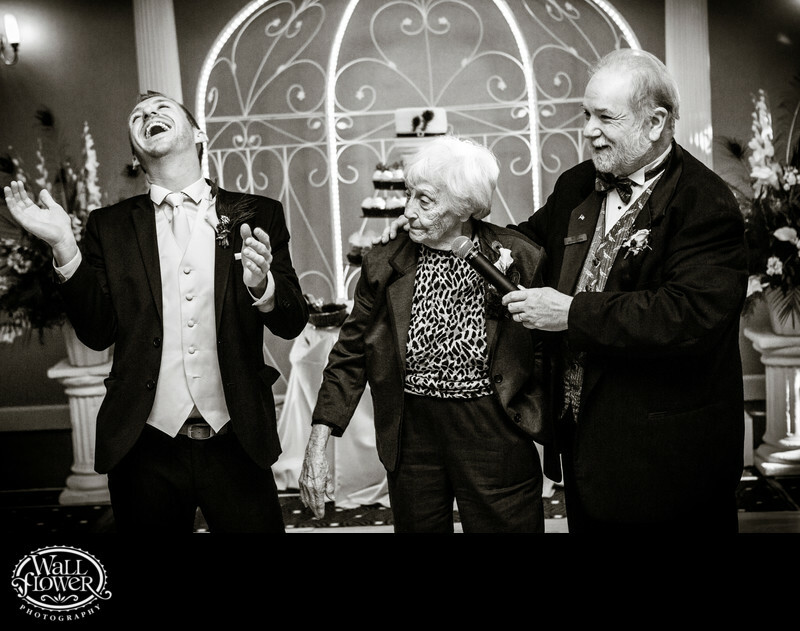 During this wedding reception in the Cascade Ballroom of the Courtyard Marriott in downtown Tacoma, the DJ was interviewing the bride's grandmother, who said something that a nearby groomsman (and close family friend) found hilarious. I love the dirty look she's shooting at his as he busts up laughing! The conversion to black and white helps train the viewer's eyes on their faces, without being distracted by the colors in the background behind them. This wedding was featured in an issue of South Sound Wedding and Event Magazine.